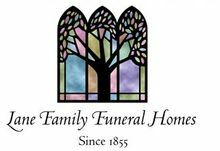 Your inquiry has been forwarded to Lane Family Funeral Homes - Roberts-Clark Chapel. Phylis & family I am so sorry about your mom. Wish I could have been there for you. If there's anything I can do please call. Phyllis, I'm so sorry about the loss of your mother. Despite the fact I did not personally know her, it sounds as though she was quite a great lady. My condolences to you and your family. Patty Will be missed. She was a great person. Always had a smile and a good word. I'm so glad I got to know Patty even better as I stayed with her while visiting Cortland. 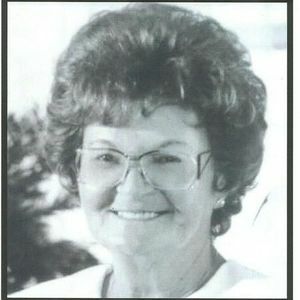 I thought of her as my 2nd Grandma. She had one of the best attitudes on life out of everyone I know. She never said a negative thing about anyone or anything. She was such a great addition to the world and her smile was infectious. I'll never forget when I looked across the street and saw her new convertible VW bug! I am so soryy to hear about your Mom. She was an amazing women. I remember her when we went to bowling trips all over the United States the 1 that really sticks out is I went bike riding with her in Florida and had so much fun. Thinking of your family. Dear Phyllis & family, Sorry to read about your mom/grandmas passing. Our prayers are with you. Dear Phyllis, I was saddened to read about your Mom. My deepest sympathy to you and your family.